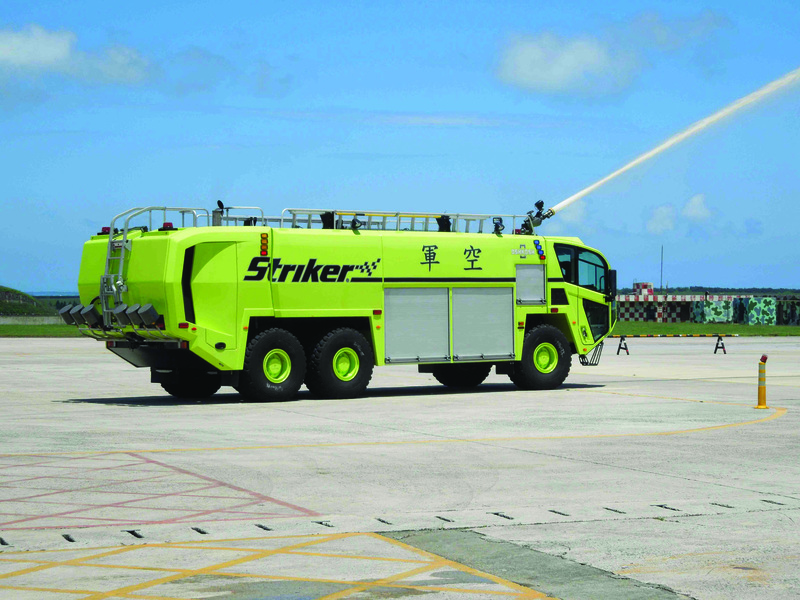 In the past year alone OSHKOSH AIRPORT PRODUCTS, which designs and builds airport rescue and firefighting (ARFF) vehicles has delivered over 50 Striker vehicles to customers in Japan, Taiwan, China, and Asia Pacific countries such as Indonesia. The Striker ARFF is available in three axle configurations (4×4, 6×6 and 8×8 models). The Striker 6×6, for example, features TAK-4 all wheel and fully independent suspension and the 697 hp, Tier 3 Deutz engine is mated to a seven-speed electronic automatic transmission for smooth power delivery enabling acceleration from 0 to 80 kph in less than 32 seconds. The 6×6 ARFF vehicle’s firefighting system includes a 11,356-litre water tank, a 1,590-litre foam cell, and a 249 kg dry chemical system for dual agent fire suppression capabilities. The apparatus is available with a roof turret, bumper turret, and a Snozzle high reach extendable turret (HRET). A structural firefighting package is available with water intakes, discharges, and pre-connected hoses on both sides of the vehicle. The engine power pack components are readily accessed through walk-in doors on either side of the engine compartment.